Posted: August 6th, 2013 under 6M, Hamradio, Iota, Soundclips. Time flies, as always. After my last post I've barely worked 6M. The band has been open, but not much of interest around. Instead I turned my attention over to the HF bands again. To be more precise, I've chased island activations. The "big" chase started July 20th. I worked R6AF/P from EU-185 on 15M CW. It was not a new island, but I didn't have it confirmed. I did however work a new iota with 5B4MF/P in AS-120 on 17M CW. In the morning of July 21st I got KL7RRC on 20M SSB from NA-059. In the evening I managed to work BY4IB/4 on 15M CW and then on 20M CW a few hours later. The island was AS-146 and was the second new iota worked that day. In the evening of July 22nd, I got DS4DRE/4 from AS-060 on 17M CW for a new iota. July 24th I worked R20RRC/0 on 20M CW from AS-062 for a new iota. On July 26th, the day before the iota-contest, there was a lot of activity and a good chance to get several new islands. On 20M CW I worked the following new iota's: CT1ELP/P EU-040, BY7RA/7 AS-139, BG2AUE/2 AS-158, KI1U/VE9 NA-014, PQ5M SA-027 and WB8YJF/4 NA-067. On 40M CW I worked the following new iota's: ID8/IQ8CS EU-144, CQ9D from AF-046. And I also gave a shout to JW9JKA on 40M SSB. 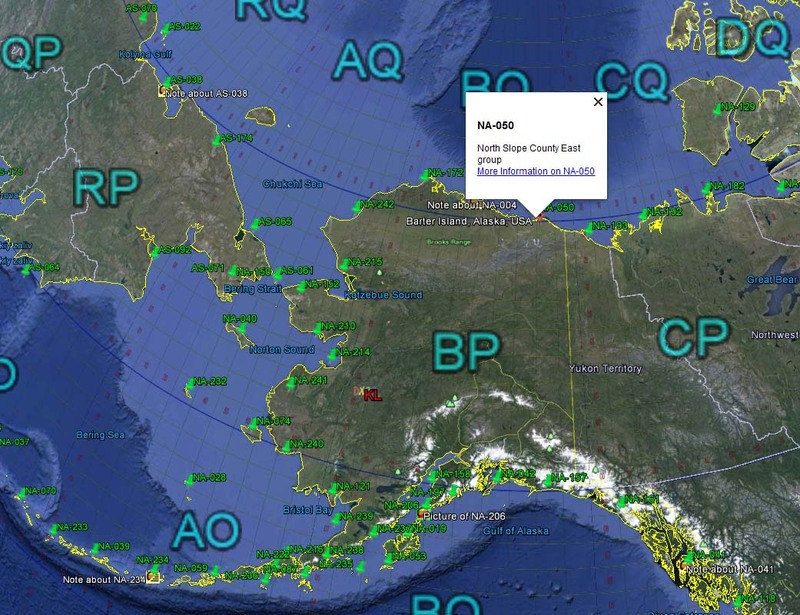 Svein is currently working from Bear Island EU-027. On July 27th the following new iota's was worked: IJ7T 20M SSB EU-073, IP1T 20M SSB EU-083, AG2J 20M CW NA-111, KS4S 20M CW NA-112, CR5CW 20M SSB EU-145, 9M2FB 20M CW AS-074, K8GU/3 20M CW NA-140, SM5CKV/P 40M CW EU-177, JA6LCJ 20M CW AS-012, PR5D 40M CW SA-047. On July 28th, IF9/IT9BXR was worked on 20M CW from EU-054 for a new iota. UT2II/P was worked on 15M SSB from EU-182 for a new iota. On July 31st I worked K6VVA/KL7 from NA-050 on 20M CW for a new iota. On August 1st I worked OZ1IVA/P from EU-088 on 40M CW for a new iota. On August 5th I worked TK13RNB/P from EU-104 on 20M CW for a new iota. When I sum it up, I managed to work 28 new iota's in less than a month. My iota count is now at 434. I worked 37 contacts in the iota contest and submitted in a checklog. On LoTW I've gotten 3 more confirmations on 6M with LZ2DF, PJ4NX and 1A0C. That means I'm at 98 and need 2 more for LoTW 6M DXCC.